Freedom Movement speakers: CRMVet is organization of former civil rights workers who were active in the Southern Freedom Movement of the 1960s. 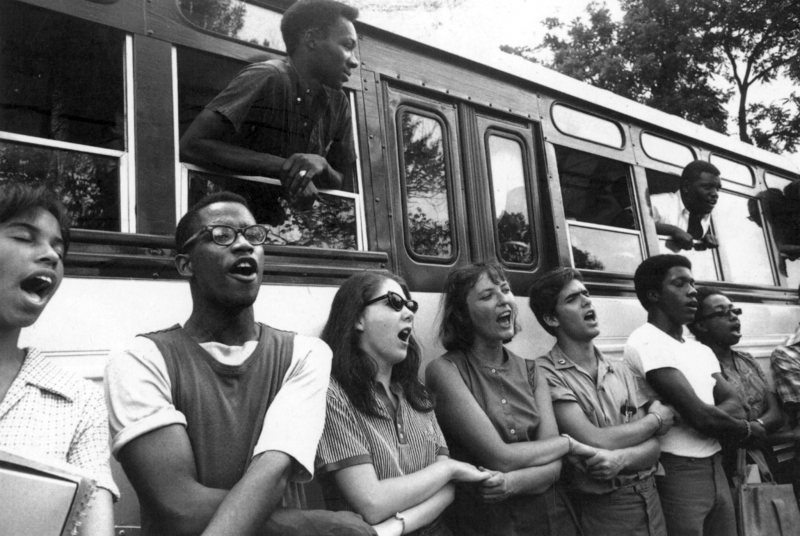 We were staff and volunteers for SNCC, CORE, and SCLC and similar groups. In the years since, we've all gone our various ways but regardless of where we are now we consider the Movement to be one of the defining experiences of our lives. Although old we are flexible! Students have been very interested in the stories we've told and the experiences we've shared. Example responses from Calvin Simmons Middle School.